In stock -This product will ship today if ordered within the next 10 hours and 1 minutes. 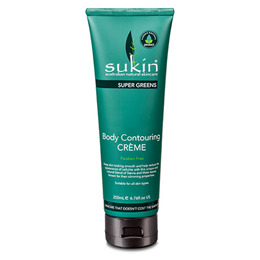 Sukin`s Body Contouring Creme has a blend of stevia and mate leaves to help reduce the appearance of cellulite and keep skin looking smooth and toned. Infused with a combination of detoxifying Kale, Spirulina, Chlorella and Parsley, our Contouring Crème is antioxidant and vitamin rich with Moringa Oil and Black Seed Extract to help nourish the skin. 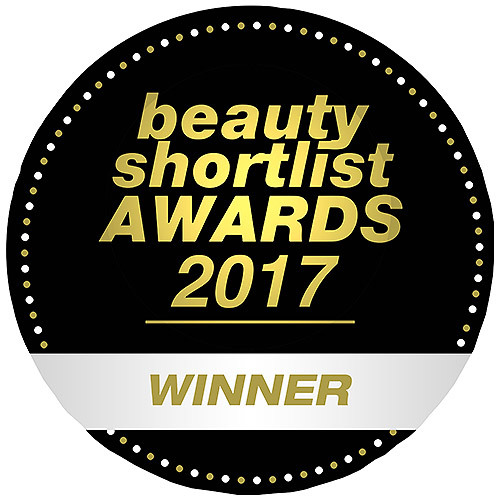 Coenzyme Q10, Coconut Oil, Macadamia and Shea Butter replenishes the moisture barrier and skin is left looking radiant. Water (Aqua), Helianthus Annuus (Sunflower) Seed Oil, Cetearyl Alcohol, Cetyl Alcohol, Glycerin, Theobroma Cacao (Cocoa) Seed Butter, Butyrospermum Parkii (Shea) Butter, Ceteareth-20, Macadamia Ternifolia Seed Oil, Calophyllum Tacamahaca Seed Oil (Tamanu), Moringa Oleifera Seed Oil, Nigella Sativa Seed Extract (Black Seed), Stevia Rebaudiana Extract, Ilex Paraguariensis Leaf Extract (Yerba Mate), Cocos Nucifera (Coconut) Oil, Spirulina Platensis Extract, Chlorella Vulgaris Extract, Petroselinum Crispum (Parsley) Extract, Brassica Oleracea Acephala Leaf Extract (Kale), Coco-caprylate, caprylic/capric Triglyceride, Tocopherol (Vitamin E), Ubiquinone (Coenzyme Q10), Silica, Glycine Soja (Soybean) Oil, Corn Starch Modified, Maltodextrin, Fragrance (Parfum)*, Phenoxyethanol, Benzyl Alcohol, Linalool**, Geraniol**, Citronellol**. Patch test before use. For best results apply whilst skin is still moist (after bath or shower). Massage into skin, targeting problem areas, massage in firm upward circular motion. Avoid contact with eyes. If irritation occurs, rinse immediately. Below are reviews of Sukin Super Greens Body Contouring Creme - 200ml by bodykind customers. If you have tried this product we'd love to hear what you think so please leave a review. Love the smell and texture. Need more time to see the results for my body toning. The cream rubs in really well. I have used many body creams in the past, but i will be ordering this one again.